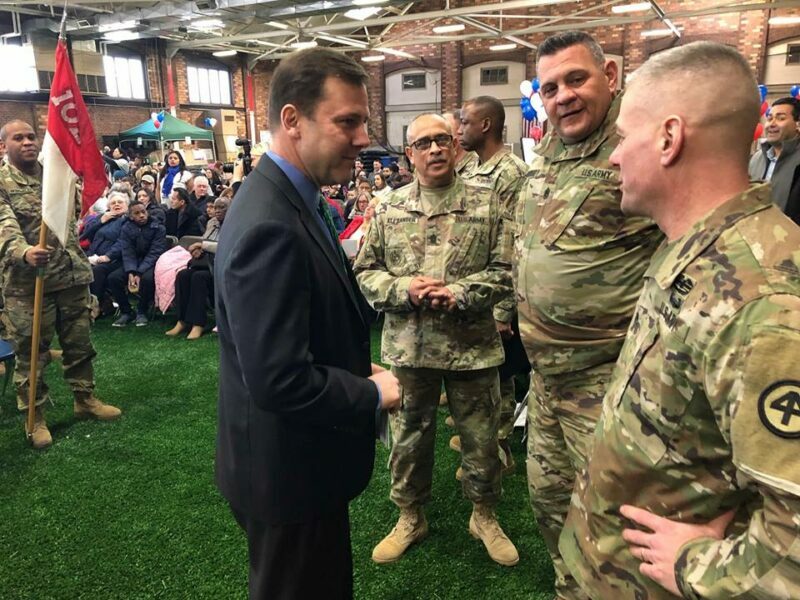 WESTFIELD,NJ–Units of the 102nd New Jersey National Guard Cavalry are departing their homes and their jobs this week as they head to the Middle East. 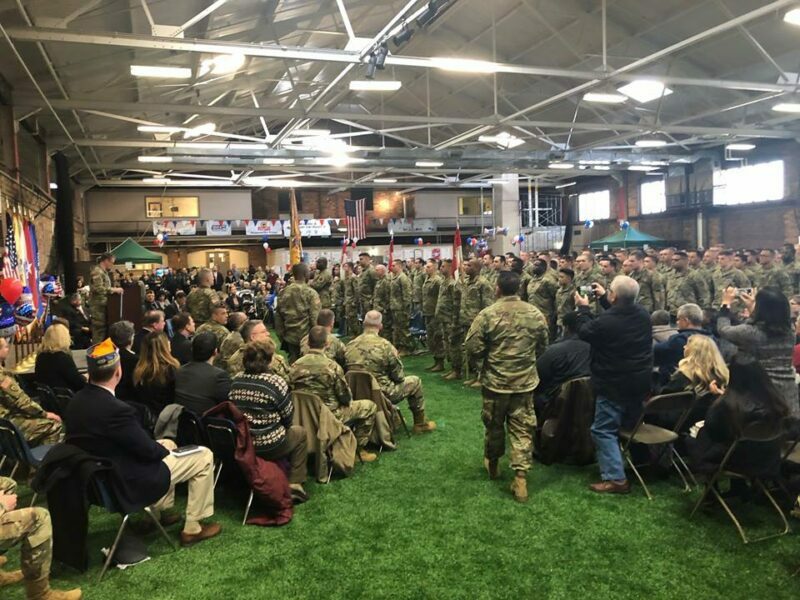 Headquarters and Headquarters Troop, and Alpha and Bravo Troops, 1st Squadron, 102nd Cavalry, New Jersey Army National Guard will be heading to Jordan’s Hashemite Kingdom in support of Operation Spartan Shield. According to the Department of Defense, Operation Spartan Shield builds partner capacity in the Middle East to promote regional self-reliance and increase security. On Wednesday, New Jersey State Senator Tom Kean (pictured below) met with the soldiers and their families before departing.